"I am running the public beta of iOS 12, and I am wondering how do I upgrade to the official iOS 12 which was released today?" iOS 12 is available to update now with brand-new features and improvements. In general, if your iPhone is running the iOS 12 beta, you can automatically update to the official public release when it is available now. However, if you still do not receive the update notification, here is how to update to iOS 12 from beta. Step 1: Install and run the iAnyGo on your COMPUTER and connect your device to the computer using a USB cable. Step 2: After iAnyGo detects your iOS device, click "One-click to Upgrade iOS" option to proceed. Step 3: On the next screen, select the iOS 12 firmware package that you intend to install on the device and click Download to start the process. You can also select the path of the firmware, if it already present on your PC. Step 4: After the firmware is downloaded, click on "Upgrade Now" option to begin the process of upgrading. In this way you can upgrade to iOS 12 from beta. Another way to install iOS 12 from beta version is removing the beta profile on your device and you will have the official one. But note that once you unenroll, you will no longer receive Beta updates. Note: If you delete beta profile but it don't revert to a non-beta version, please try to install iOS 12 with iAnyGo. Step 1. Go to Settings -> General -> Profiles. Step 2. Tap iOS Beta Software Profile and them Remove Profile. Enter your passcode to tap delete again to remove the profile. Step 3. Restart your iPhone or iPad and verify the exact version in Settings->General->About->Version. The third way to upgrade to iOS 12 from public beta is uninstalling the iOS beta by erasing and restoring your device with iTunes. 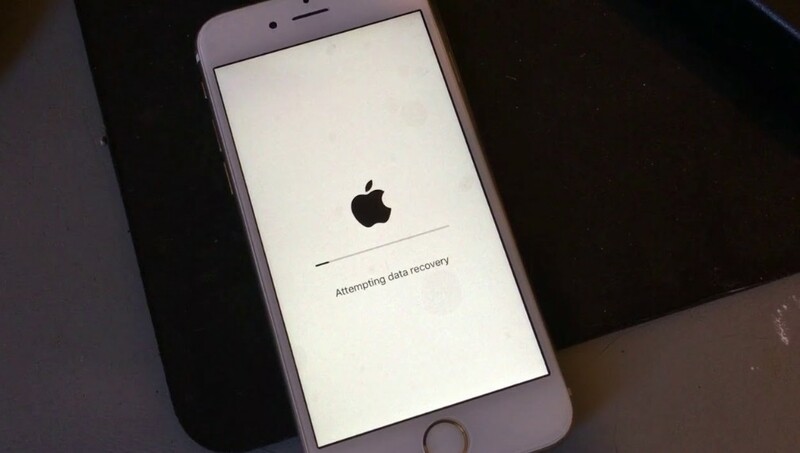 Before restoring your iPhone/iPad, please make sure that you have backup all your important data. Steps 1. Connect your iPhone to the computer with a USB cable. Step 2. 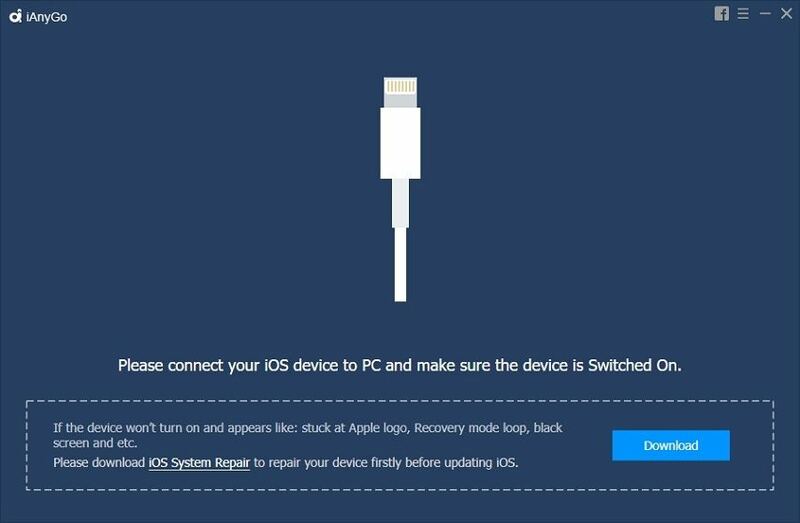 Now follow steps below to put your iPhone into recovery mode. Press and hold the power button and the Home button together until the Apple logo appears on the screen, and then let go. Press and hold the power button and the volume down button together until the Apple logo appears on the screen, and then let go. Quickly press and release the volume up button and volume down button. Press and hold the sleep button until the Apple logo appears on the screen. Step 3. Run iTunes. You will see a message that will ask your device to be updated or restored. Click the Restore option when it appears. This erases your device and installs the current nonbeta version of iOS. That's all about how to update iPhone X/8/8 Plus/7/6s/6/5s from iOS 12 beta to iOS 12 official. 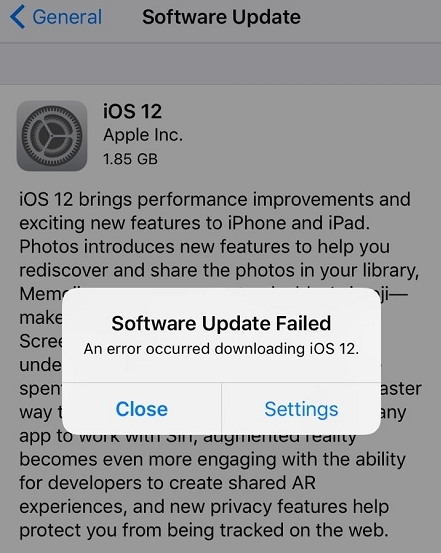 iAnyGo not only can help you directly update from iOS 12 beta to iOS 12 Official but also help you install iOS 12 when you cannot install iOS 12, an error occurred installing iOS 12 or iOS 12 update takes forever.